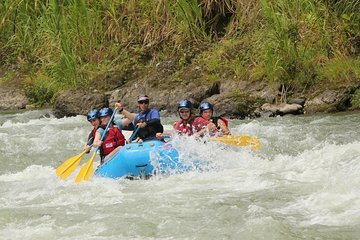 Take in views of stunning tropical scenery as you navigate Class III-IV rapids along the Pacuare River on this small-group tour from San Jose. Join your professional river rafting guide and your group of 10 people or fewer for a full day of rafting, hiking, and dining by the riverside. Although this is a challenging course, no prior rafting experience is necessary.